America has never been ready for us! As we came of age in the 60’s and 70’s, our voices were heard in politics, science, societal norms, philanthropy, and loudly from an economic prospective. We have created a paradigm shift in our world. Think Microsoft, Apple, a female candidate for President – you get the picture. Now, as we approach aging, there is no telling about the power that is at our fingertips. But, this power is predicated on us taking on this life stage as we have everything else – by thinking outside the box. We have never been our parents’ generation; we have been the movers and shakers of the world. We have never given away our power. We have been prepared for what lies ahead. Now, as we see our age in the eyes of our friends, we must garnish our resources and figure out how to live out the next stage on our own terms. As an Aging Life Care Professional and aging Boomer, this reality has been hitting home regularly. 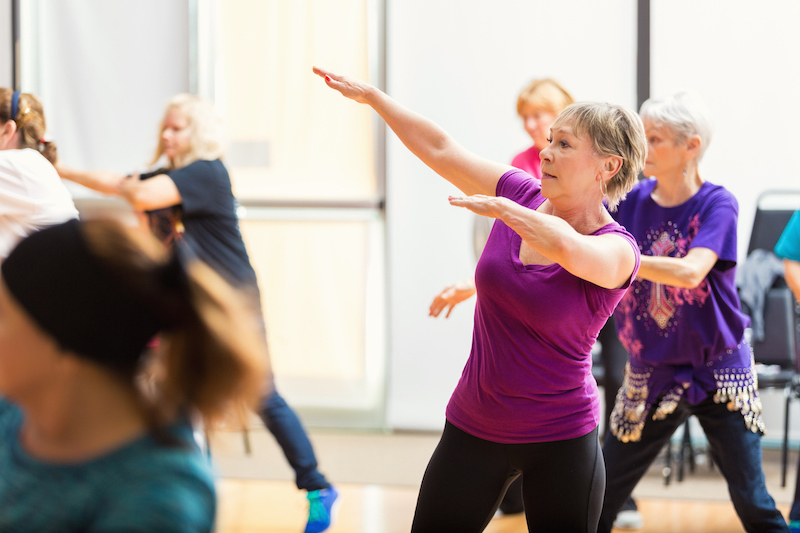 Recently, at my Zumba class, I reviewed some of the stories of those dancing along side me. The realtor with the new zipper scar, the retired lawyer whose husband has Parkinson’s Disease, the retired psychologist with Fibromyalgia and each one of us – wounded warriors and consummate dancers still doing our thing. But as the discussion continued that day, we determined that this is our “new normal” requiring firm actions and acceptance of our brave new world. We can’t deny that things are changing. As boomers know, our social connections have never been more relevant. This is a time of not going it alone. It is a time of declaring our goals and enjoying every minute of our lives. We have always sought to change the world and now this is a new and personal opportunity. It’s important to explore what gives your life meaning. Reflect and meditate. Think about what gives you joy and how it feels when you are expressing your authentic self. It’s a place to start. Your skills, life experiences, and wisdom can be repackaged for the next chapter. Review your life. Capitalize on your connections and relationships in the workplace and social life. Think about what you want and what you need. You can think about re-packaging a new career path or working towards a cause that you believe in. The possibilities are limitless and may be simpler than you think. Take stock of your assets especially finances. A visit with your financial planner may be critical as well as taking stock of your insurance, investments, wills, power of attorney documents, advance directives. Doing the paperwork of life leads to your independence and control. Our experience has shown us that a strong, hand selected team makes the difference between staying in power or being out of control. Having a team who has the financial, legal, and health care smarts to create documents, manage resources, and provide for the highest level of medical advocacy leads to positive outcomes that no one person can achieve on their own. Know when its time to make a change. Being proactive is the key to empowering ourselves. Make changes when you are still in the driver’s seat. And most of all, live out your bucket list, appreciate what you have, and celebrate all you have contributed to your families and this unpredictable life! These steps are a means to keep our power intact. Aging will happen no matter what we do to prevent it. If we are to stay on the playing field, we must PACK our bags and do what is necessary to maintain control and bring us joy! The best antidote to age and death is – life.